The Obama administration is seeking a permanent stop to construction of the facility that has been the centerpiece of the effort to get rid of plutonium withdrawn from the U.S. nuclear weapons program. Under the plan, described in budget documents released Feb. 9 and a conference call with journalists the following day, the administration would spend $270 million in the coming fiscal year for termination costs for the plant, with costs of a similar magnitude expected for the next few years. At the same time, the administration would spend $15 million in fiscal year 2017 for preliminary work on the new plutonium-disposition path that the Energy Department and its semiautonomous National Nuclear Security Administration (NNSA) have chosen. The proposal was part of the administration’s $1.8 billion request for NNSA nonproliferation programs in fiscal year 2017. 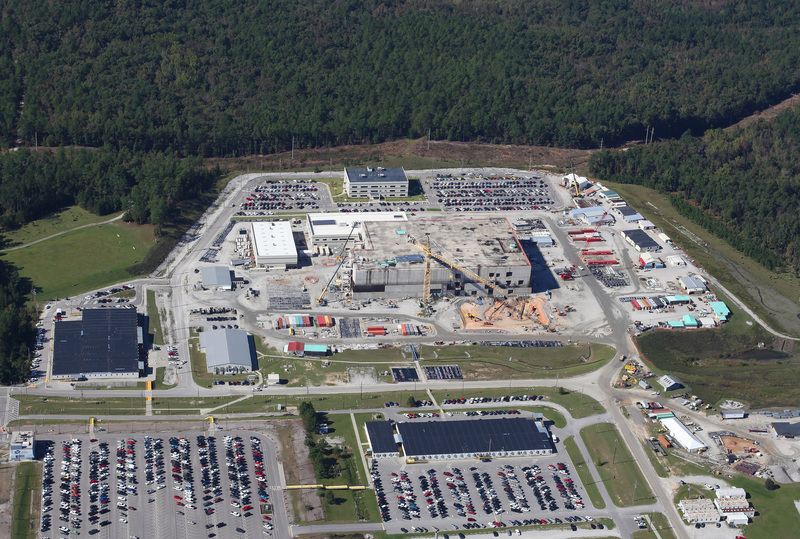 The plant, which is under construction at the Savannah River Site in South Carolina, was designed to turn surplus weapons plutonium into mixed-oxide (MOX) fuel—so called because it is a mix of plutonium and uranium oxides—for use in nuclear power reactors. Under an agreement that Russia and the United States signed in 2000, each country is required to dispose of at least 34 metric tons of surplus weapons plutonium. The new approach, known as “dilute and dispose,” would down-blend the plutonium with an inert material for direct disposal in a repository. During the Feb. 10 conference call, Kelly Cummins, NNSA associate assistant deputy administrator for fissile materials disposition, said the annual costs would rise to $300-400 million. Supporters of the MOX fuel plant, led by the South Carolina congressional delegation, have suggested that the new approach could face technical, legal, and political obstacles. Cummins said the termination costs for the MOX fuel plant were expected to total $500-750 million. But she emphasized that those figures are a rough estimate and are “subject to negotiation” with the contractors hired to build the plant. The lead contractor is CB&I Areva MOX Services Group. Excluding the MOX fuel program, the Obama administration is asking for $1.5 billion for NNSA nuclear nonproliferation and counterterrorism programs, a decrease of $62.4 million, or 3.8 percent, from the fiscal year 2016 appropriation. The drop is even steeper when measured against what the NNSA projected it would request for these programs in its fiscal year 2016 submission, which was issued in February 2015. The agency had said it planned to ask for $1.7 billion in fiscal year 2017, or $185 million more than the actual proposal. The largest proposed reduction in the request is to the Global Material Security program, which has the task of improving the security of nuclear materials around the world, securing orphaned or disused radiological sources, and strengthening nuclear smuggling detection and deterrence. The program would get $337 million, a $89.6 million reduction from the fiscal year 2016 appropriation. The NNSA is requesting $46 million for the international security subcomponent of this program, a decrease of $84.5 million from the fiscal year 2016 enacted level and $182 million from the level projected in last year’s request. According to budget documents, the decline from the enacted level “reflects a commitment to reduce” unspent money left over from previous fiscal years by spending it in fiscal year 2017, permitting a lower request. In a Feb. 18 email to Arms Control Today, an NNSA spokesperson said the agency does “not have exact projections of carryover” but anticipates “sufficient funds to implement priority tasks” in fiscal year 2017. In addition, the budget submission reveals that the NNSA is now planning to secure 4,394 buildings containing high-priority radioactive nuclear material by 2033, a change from the previous goal of securing 8,500 sites by 2044. The Material Management and Minimization program, which supports the removal of civilian highly enriched uranium (HEU) and plutonium around the world and converts HEU-fueled research reactors and medical isotope production facilities to the use of low-enriched uranium, would receive $341 million, an increase of $24.5 million over the fiscal year 2016 appropriation. Nuclear material removal activities would get $68.9 million, a decrease of $46 million. The drop is based in part on “a reduced scope of work” in fiscal year 2017 due to “the completion of several major initiatives in time for the 2016 Nuclear Security Summit, including completion of the removal of all HEU and plutonium from Japan’s Fast Critical Assembly,” according to budget documents. Elsewhere in the NNSA nonproliferation budget, funding for Nonproliferation and Arms Control activities would fall slightly, from a fiscal year 2016 appropriation of $130 million to $125 million. Spending for Defense Nuclear Nonproliferation Research and Development activities, which focus on technologies used in tracking foreign nuclear weapons programs, illicit diversion of nuclear materials, and nuclear detonations, would fall to $394 million from its $419 million fiscal year 2016 appropriation. The NNSA nonproliferation budget request also includes $13 million to support the nuclear deal between Iran and six world powers, which passed a critical point in its implementation in January (see "Iran Nuclear Deal Implemented"). Some observers continue to question the wisdom of proposed reductions in funding for NNSA nuclear and radiological security activities, especially in the run-up to the final nuclear security summit, which is scheduled to take place in Washington March 31-April 1 (see "Nuclear Summit Seeks Sustainable Results"). “Congress should act to correct President [Barack] Obama’s mistake,” added Bunn, a member of the Arms Control Association Board of Directors. During the Feb. 10 conference call, retired Lt. Gen. Frank Klotz, the NNSA administrator, disputed the claim that the budget request sends a bad signal ahead of the summit.